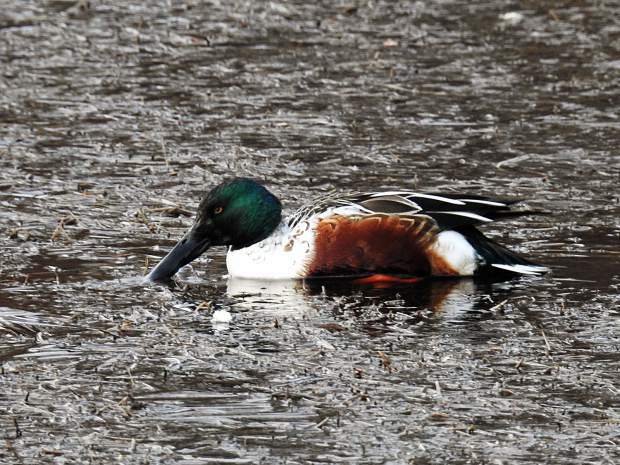 Look forward to seeing this beauty on the count day at Cove East, a male northern shoveler. 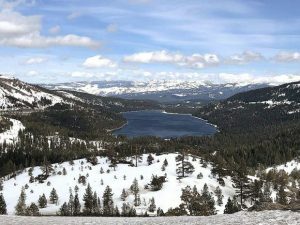 Grab your binoculars, break out the camera, dress warmly and volunteer to observe birds and waterfowl for the upcoming Christmas Bird Count this weekend, locally sponsored and hosted by Tahoe Institute for Natural Science (TINS). During the late 1800s there was a holiday tradition called the Christmas Side Hunt. Hunters would choose sides and go out to shoot as many birds as they could. The side with the largest pile of dead birds was the winner. Ideas of conservation were in the beginning stages at that point, but scientists were becoming concerned about declining bird populations. On Christmas Day, 1900, ornithologist Frank Chapman, an early officer in the just-beginning Audubon Society, proposed a new holiday tradition — a Christmas Bird Census — counting birds rather than hunting them. There were 25 bird counts that day, tallying around 90 species of bird, in areas ranging from Toronto, Ontario to Pacific Grove, California. The count has come a long way since then — last year there were over 2,400 bird counts (called circles), counting more than 68 million birds and including over 2,100 species. The Christmas Bird Count takes place all over the continent, within established 15-mile diameter circles — each circle being managed by a local compiler. 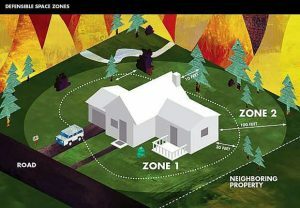 At Lake Tahoe, the circle is managed and data compiled by Will Richardson and staff of Tahoe Institute for Natural Science. TINS invites you to join novice and expert birders in participation of the South Lake Tahoe Christmas Bird Count, being held Saturday, December 17 in South Lake Tahoe, from 8 a.m. to 5 p.m. Participants meet at the Alpina Coffee Café on Emerald Bay Road at 8 a.m.
From there, everyone will head together to Cove East for an hour or two of observation. The group will be divided into smaller groups, with at least one experienced birder in each group, to cover the remaining territory. TINS will host a pizza party after the event so that birders can swap stories and exchange pictures and notes. Will Richardson, Ph. D., co-founder and executive director of TINS, is responsible for collecting, compiling and entering the data into the Audubon Society’s data base. This data collected by observers over the past century allow researchers to study the long-term health and status of bird populations across North America, and to help guide conservation efforts. Check out the website, tinsweb.org for more information and to sign up. Participants need to RSVP with Sarah Hockensmith, TINS membership and outreach manager at (775) 298-0067 or email at sarah@tinsweb.org. Incline Village resident Franny Bryan, who works on Saturdays and cannot participate, nevertheless conducts her own research and has been kind enough to share with us some of her discoveries. Franny always has her eyes on the trees as she counts on her husband, Chris, to keep his eyes on the road while he drives. Ask Chris how many times Fran has said to him excitedly, “Pull over, I see something!”, he will tell you, “Too many!” Yet, he obliges and they troop off the road to see Fran’s latest discovery. One of their favorite stomping grounds is Cove East, the area chosen for the Christmas Bird Count, because it is so rich with wildlife. Just last month, Fran and Chris were at Cove East, bird watching, and they saw a tree filled with cedar waxwings, along with one American robin. These are birds you might expect to see during the Christmas Bird Count this weekend. Last September, the Bryans were excited to see a flock of Caspian terns in the same area as the terns passed through on their way to southern Mexico, where they spend the winter. The Caspian tern is the largest tern in the world and its large coral red bill makes it easily identifiable. The terns are most likely much farther south by now and won’t be seen at Cove East in December. A beautiful bird with a haunting call, the common loon, should be making an appearance on count day. The loon, a large, diving bird, can submerge without a splash to catch a fish. Loons are more adaptive to water, and only come ashore to nest. Generally, 60-80 species are spotted during the Christmas Bird Count at Cove East. Come out and be a part of this important data-gathering event and surround yourself with knowledgeable and enthusiastic fellow birders. The event will take place unless there is a significant storm that day. Be sure to sign up at tinsweb.org.